Chairs have become an essential part of everyday life. You could sit in chairs when you go out to eat, when you eat dinner at home, when you are waiting for an appointment, and when you are working. Most people trust that the chairs that they sit in are safe. Unfortunately, however, many people suffer accidents and a variety of injuries because of chairs that suddenly break. If you or a member of your family suffered a chair accident, you must speak with a broken chair injury lawyer who has experience in collapsing chair cases. You must contact the attorneys at Kenmore Law Group as soon as possible. Our attorneys have many years of experience helping the victims of chair accidents recover the compensation that they deserve. Whether the fall from the chair caused you to hit your head and suffer a concussion or you cut your finger on a broken chair, you could sue for your injuries. Hitting your head against the floor, causing a concussion, could have devastating effects on your health and result in a variety of medical expenses. Regardless of the types of injuries you suffered, you must remember that you have the right to sue the parties liable. Chairs can break for a variety of reasons. For example, if the chair was poorly maintained, it could break and cause harm. Likewise, if a chair was not assembled properly, it could break and cause injuries. The question here is who is liable? Who should have taken appropriate measures to prevent your accident? Liability is based on negligence. Negligence consists of four elements: duty, breach, cause, and harm. In businesses, for example, business-owners have the duty to keep their premises safe for customers. If you have an office job, your boss has the duty to keep the office free from hazards. When someone with a duty of care fails to keep the premises safe, they are breaching their duty of care. Examples of common breaches of duty include failing to repair broken chairs or failing to inspect chairs. A breach of duty could cause an accident and lead to injuries. The same applies to defective products. Companies have a duty to provide their consumers with products that are safe to use. If they make a defective product available for purchase, they could be found liable for any injuries sustained. For more information about who is liable for your chair accident, you must contact our law firm as soon as possible. Can I Sue if a Chair Broke and I Got Injured? Yes, you can sue if a chair broke and you got injured. However, your right to sue depends on how the chair broke. Did you jump into the chair? If so, you might not be eligible to sue because your reckless actions resulted in the broken chair and your injuries. Did the chair break because it was not assembled properly? Did you fall off the chair because someone failed to identify and address a hazard? If the seat broke and you suffered injuries because of a party’s negligent actions, you have the right to sue. You must contact an experienced chair collapse injury lawyer in Los Angeles, CA as soon as possible. Can I Sue Over a Chair that Broke Under Me and Got Me Injured? Yes, you can sue if a chair broke under you and you got injured. If a broken bench caused your fall or a chair broke as you sat on it, you could sue. Depending on the details of your claim, you can sue the chair manufacturer for providing a defective chair or you could sue the store where the chair was located. As discussed above, a party could have strict liability if their negligence caused your injuries. Whether you were injured because of a broken office chair or because of a broken chair in a waiting room, you could sue. For more information about your right to sue after suffering injuries because of a broken chair, you must contact our law firm as soon as possible. If you file a lawsuit after you sustained injuries in a chair accident, you might be eligible to recover compensation for the following: medical bills, lost income, pain and suffering, loss of consortium, and burial costs, for example. The specific type and amount of compensation you are eligible to receive will strictly depend on the details of your chair accident claim. Only an experienced chair collapse injury lawyer in Los Angeles, CA could provide you with all the information you need to better understand the value of your claim and the compensation that you could receive. $41,500—the victim suffered injuries after a fall that was caused by a chair that was not assembled correctly. $175,000—the victim fell from a defective chair. The defective chair caused the victim’s arm injuries. $450,000—the victim fell after a chair broke beneath him. The fall resulted in a herniated disc. $540,000—the victim experienced a chair accident in a movie theater. The chair in which the victim was sitting collapsed and caused her injuries. The victim suffered a severe back injury. $850,000—the victim, a ticket clerk at a train station, suffered a variety of injuries after the chair in which she was sitting collapsed under her. The victim suffered shoulder injuries, back injuries, and neck injuries. Some of the injuries required complicated surgical treatments. As you can see, the values exemplified above vary. These values vary based on the specific claim details. If you would like more information regarding the potential value of your claim and the compensation that you could receive, you must contact our law firm as soon as possible. Report the accident. You must contact someone with authority, such as a manager, and inform them of the accident. You should ensure to file an accident report. Take photographs. You must take photographs of the scene of your accident, highlighting the broken chair. You must also take photographs of the injuries that you sustained. Seek medical attention. Regardless of the severity of your injuries, you must seek medical attention as soon as possible. You must ensure to keep all medical records and bills associated with your injuries. Gather witness information. If there were any witnesses your chair accident, you must collect witness contact information for later reference. Seek legal assistance. You must contact an attorney to discuss what actions you could take after falling from a chair and suffering injuries. If you believe that the accident was caused by a defective chair and are interested in filing a product liability claim, you must do everything listed above in addition to a few other steps. You should contact the company that manufactures the chairs that caused your injuries. You should inform them of the accident without revealing any extra information that could be used against you. If you own the chair, the manufacturer might offer a free replacement or free repair for the broken chair. For product liability claims, it is essential to keep the defective chair as it is. Do not agree to a replacement or a repair; you should do everything possible to preserve the defective chair. If you were injured because of a defective chair at an establishment or business, you might not be able to preserve the chair’s damage. In this case, you must take as many pictures as possible of the chair and the defect that caused your fall. For more information about how you could prepare yourself to file a claim after falling off a chair, you must speak with our attorneys. Did you experience a personal injury accident? Did you suffer injuries because of a broken chair? If you suffered a chair collapse injury, you might have grounds to file a lawsuit against a liable party. If you would like to speak with an injury attorney in Los Angeles for broken chair lawsuits, you must contact Kenmore Law Group as soon as possible. Kenmore Law Group is a personal injury law firm dedicated to fighting for the rights of all parties who suffered injuries because of another party’s negligence or recklessness. The attorneys at our law firm know how your chair accident affected both your life and your family’s life; therefore, they will aggressively fight for your right to receive compensation for the harm suffered. If you would like to discuss your chair claim and how to sue over a broken chair, you must contact our law firm as soon as possible and request to speak with our attorneys. Our law firm is dedicated to helping all victims of broken chair accidents. Because of that, our law firm offers a variety of free legal services, such as free consultations and free second opinions. During our free consultations, the experienced attorneys at Kenmore Law Group will be available to answer all of your questions and concerns regarding your chair accident claim. Our attorneys can provide you with all the information you need to file a successful broken chair lawsuit against the parties liable for your injuries. Have you already started your legal process with an attorney at another law firm? Do you believe that your claim has been misled because of an attorney’s incompetence? If so, you could benefit from our free second opinions. During our free second opinions, the experienced attorneys at Kenmore Law Group will focus on doing all of the following: addressing unanswered questions, clarifying any doubts or confusion, and guiding your chair injury claim to a successful outcome. Whether you are in need of a free consultation or free second opinion, our experienced attorneys can help you with your claim. If you would like to schedule an appointment to speak with our attorneys, you must contact our law firm as soon as possible. 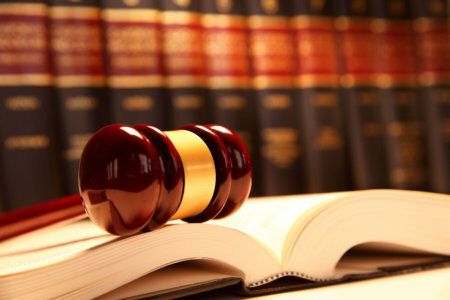 Would you like to benefit from speaking with our attorneys? 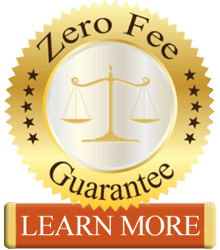 Because of our Zero-Fee guarantee, you can speak with our chair accident lawyers without ever having to worry about paying any upfront legal fees for any of our services. Our law firm is also strictly based on contingency. Our contingency structure ensures that our clients never have to pay any legal expenses until after our attorneys win their claims. Our legal expenses will be deducted from the compensation that you receive, so you will never have to worry about paying any out-of-pocket expenses. If you do not win your claim, you will not be required to pay us anything. Do not hesitate to contact our law firm to begin your legal process for your chair accident claim—our attorneys are ready to represent you.